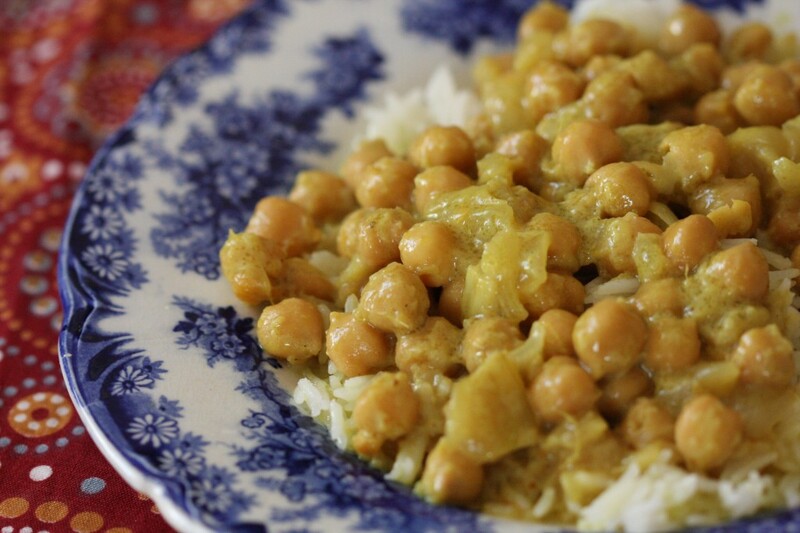 This is a mild and quick dinner- I like to fall back on it when I want something filling but just don’t have the oomphf to make a full meal… and it lasts for days if you’re a single person, so double points for that :) Now, *Technically* this isn’t a real curry, I mean I’m using curry powder (sorry Shizzle ;)- don’t tell the aunties about this one, k? ), but, hey, its thick and velvety and hot and just right for the cold nights. Here we go! From start to finish it will take you less than 20 min. How awesome is that! Saute the onion and ginger with the olive oil. Add the garlic and chili if you are using either. 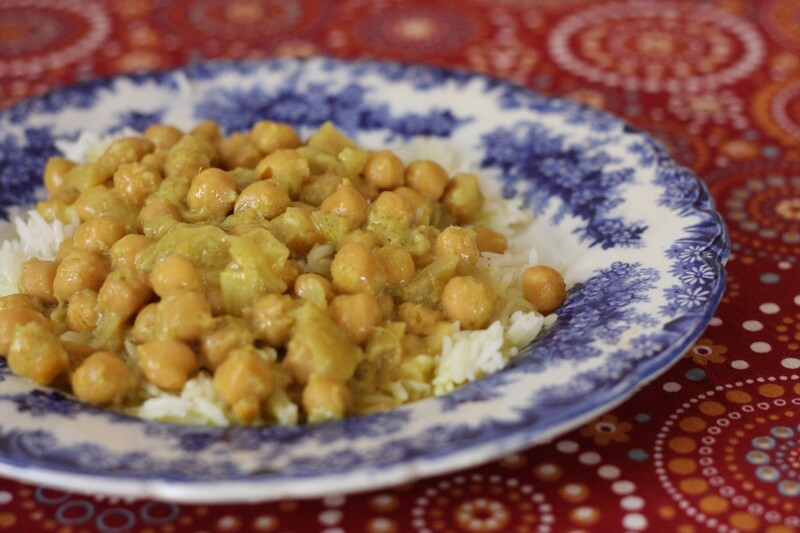 When the onion is soft, add in the chickpeas, coconut milk, and curry powder. Stir well. Simmer for 10-15 minutes. Seriously. Thats all you have to do. Serve over Basmati rice.